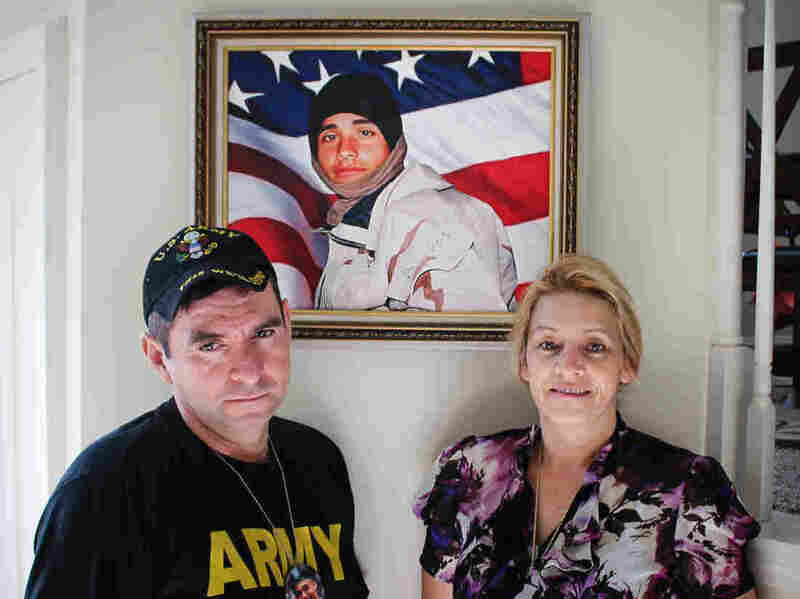 Remembering A Soldier Who Died For His Country Before Becoming A Citizen George Rincon and Yolanda Reyes remember their son, Diego, an Iraqi war veteran who was killed in action in 2003. The family came to the U.S. in 1989 as immigrants from Colombia. George Rincon and Yolanda Reyes stand with a portrait of their son Diego Rincon. The family immigrated to the U.S. from Colombia in 1989. 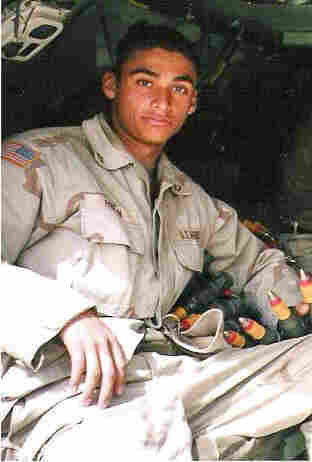 Diego served in the Army and was killed in Iraq in 2003. Memorial Day weekend is a time when a lot of Americans remember those who have served and lost their lives during war — and not all of those individuals were U.S. citizens. When the Iraq war started, nearly 40,000 members of the military were not U.S. citizens. Army Pfc. Diego Rincon was one of them. In 1989, his family immigrated to the U.S. from Colombia. In 2003, he was killed by a suicide bomber in Iraq. He died for his country even though he wasn't a citizen. His parents, George Rincon and Yolanda Reyes still remember their son and how quickly he adapted to his home in the U.S.
"We came here when he was 5-years-old," Reyes says. "Diego started speaking English faster than we did. He was often letting me know, 'When I finish high school, I'm going to join the Army.' "
Diego did go on to join the Army and he was on his way to becoming a citizen, along with his parents. "Before he went to Iraq, he got the green card," George says. "But he said to me, 'Dad, don't do the citizenship until I return. We'll do it together.' "
Reyes says the last time she spoke to Diego, he told her he had written her a letter, but instructed her not to open it until she was ready. "A week later I got the letter, and it was different from the rest," Reyes says. "He was talking about this feeling that he had that he was going to die. He asked for forgiveness for anything wrong that he had done, and he said that he loves me. This letter was like a bucket of icy water." Diego died on March 29, 2003. While his mother was sitting on the steps of the family's home, a chaplain walked into the house. "He said, 'Mr. Rincon, I'm sorry. Your son is dead,' " George says. Reyes says she didn't believe the news at first. "I called the Army and asked for pictures of his body," she says. "I looked at the pictures and I destroyed them." It is still hard for the couple to believe that their son is gone. "Sometimes I wake up in the morning thinking that this is a nightmare and he's coming back," George says. "But I had my baby for 19 years and it was a blessing." Reyes says they also wonder what might have happened if the family hadn't left Colombia. "At least he was doing something with honor, with pride," she says. "He was doing something for America." In the end, Diego did get citizenship. It came the day of the his funeral. His death also helped get a bill passed that grants immediate citizenship to immigrant soldiers who die in combat. "It's a piece of paper, but it means a lot for us," George says. "He will always be our hero." 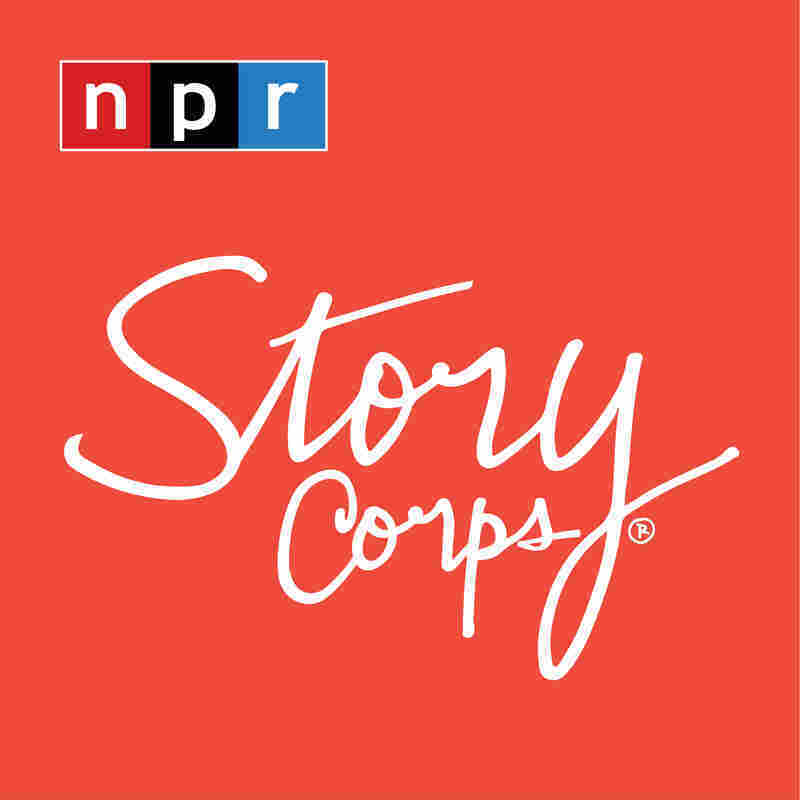 Audio produced for Morning Edition by Liyna Anwar and Jud Esty-Kendall.